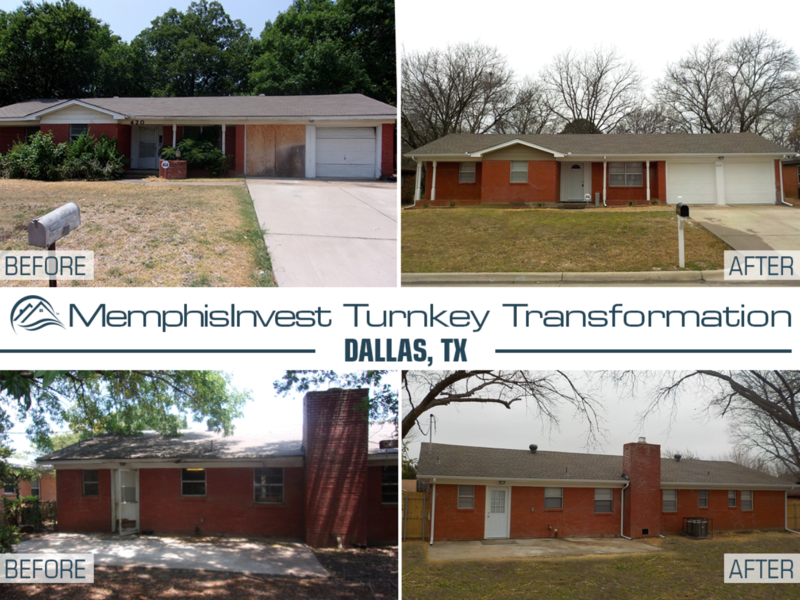 We're in Dallas for this week's 'Transformation Tuesday' and we've got quite the fixer upper! 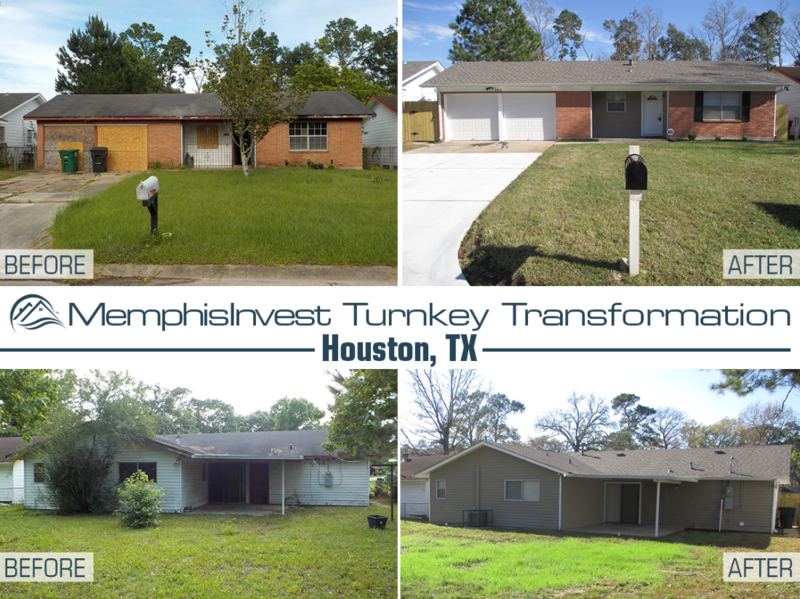 From rotten garage doors to a new roof and new appliances, our team did a great job turning this property into a lovely home for our investors and residents. Plus find out how the buyers for this turnkey property purchased this and 5 other homes all within ONE YEAR! 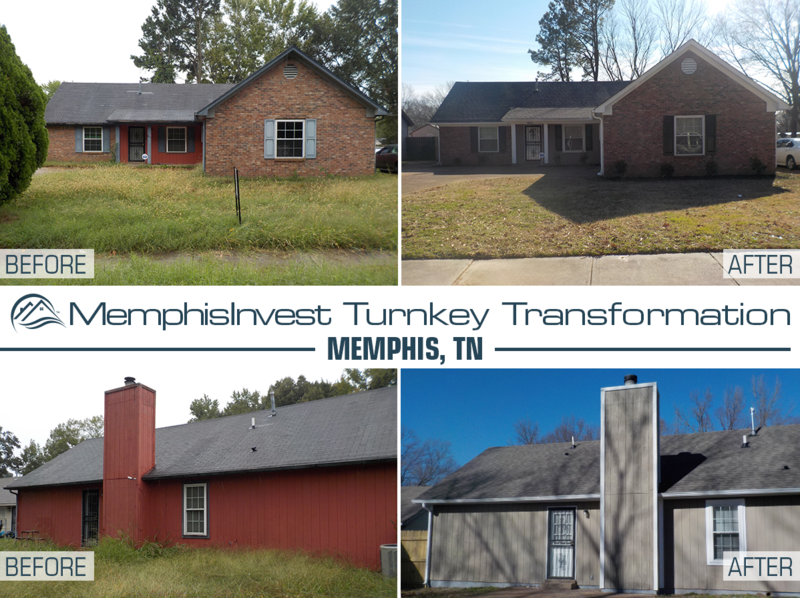 For this week's 'Transformation Tuesday', we've got another Memphis property for you! This 3 bedroom, 2 bath home was pretty neglected and worn for wear. Many of the homes we purchase to renovate and sell to our turnkey investors just need a good cleaning and some repairs. With this home being 30+ years old, there were a few big ticket items that needed to be replaced, but overall was a great property for our investors. 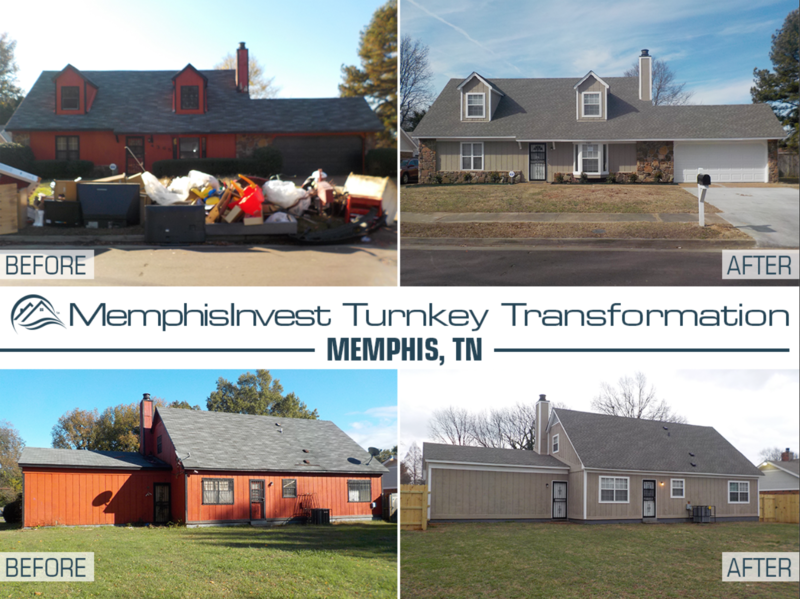 This week's Turnkey Transformation is in Memphis, TN and we have made quite a few improvements to this once trashed property. With the previous owners' belongings on the front lawn, and the house needing many updates (including lots of paint), our team was able to make a huge difference in the curb appeal and also the interior of the home. 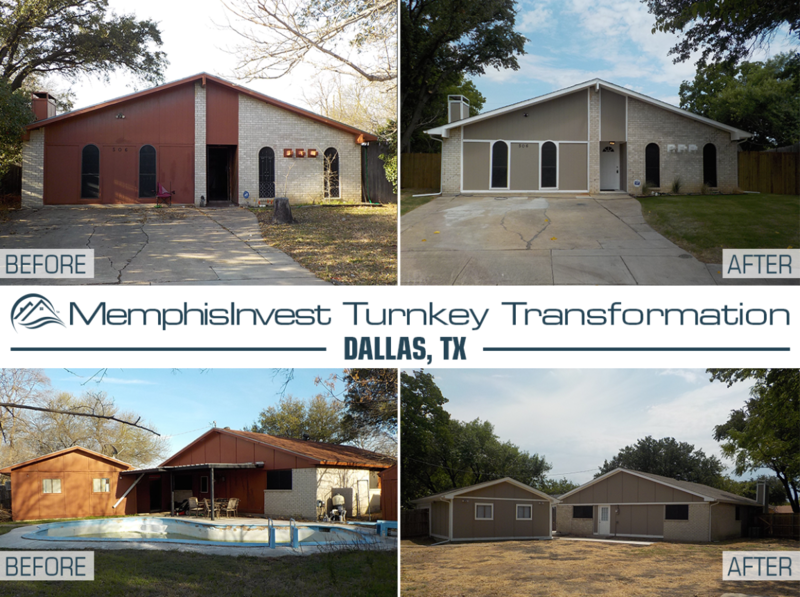 We've got a Dallas property for this week's Transformation Tuesday! This unique home had a lot of repairs needed, in fact, we spent 140 days renovating this home! This is much longer than our typical timeline, but once you see the before and after pics, you'll see why we had to pay some extra attention to the interior and exterior of this property! 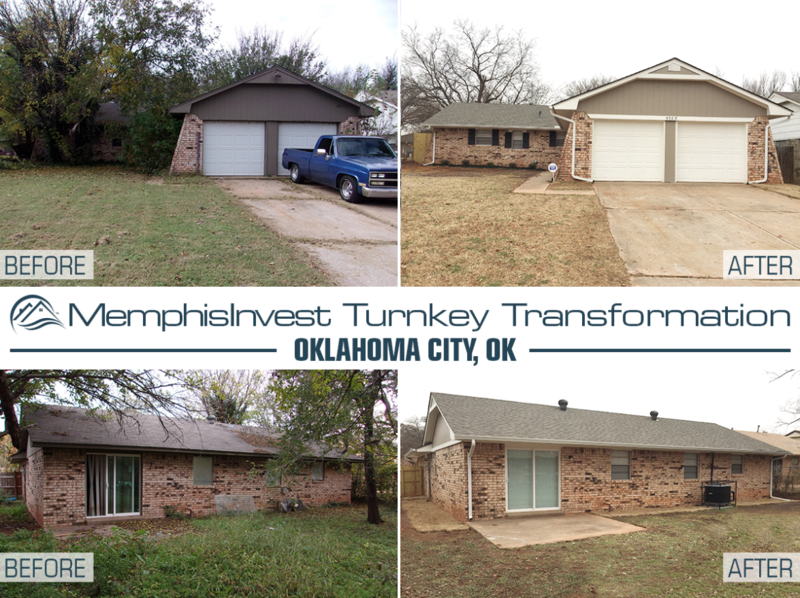 This week's Transformation Tuesday is an almost 50 year old house in Oklahoma City, OK. See how this outdated single family home gets some repairs done on the interior and exterior. Plus, we'll take a look at how our team was able to complete this renovation in just 67 days and $52,000!